The refrigerator is one of the most important appliances in your home. It keeps your food fresh and it helps keep your food costs low. As well, a modern ENERGY STAR refrigerator uses less power than a 75-watt light bulb. This means modern refrigerators are more cost efficient than older models and can help you reduce your monthly energy costs. So when your refrigerator starts to warm up and fail to produce cold air, contact us for refrigerator repair. Arlington area residents don’t have to live with a damaged or a failing refrigerator! We provide fast and correct refrigerator repair. 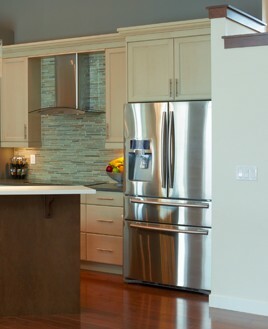 Arlington, VA area homeowners with broken refrigerators: contact us. Within three hours, our service technicians will be at your door ready to assist you! Our service range extends beyond Arlington, to the surrounding nearby suburbs on the Virginia side. Whether you own an attached or freestanding freezer, our repair technicians can resolve any malfunction faced by your home’s freezer. If your freezer isn’t freezing, contact us and ask about our freezer repair in Arlington to have your freezer working correctly and efficiently once again. If you need to set up an appointment for your freezer repair, contact us today. Believe it or not, the ability to make ice is a relatively new concept. At one point, only the richest and most prestigious individuals could afford on-demand ice. However, in today’s world anyone with a freezer can make ice. If your ice maker is damaged, contact us for ice maker repair in Arlington for broken ice makers, as well as for ice makers that are producing smelly, cloudy, or dirty ice cubes. If you’re tired of finding bits of plastic and other contaminants in your drink, contact us today and have our repair technicians fix your ice maker. As well, our skilled team of repair technicians can also handle a wide variety of different brand name ice machine repairs in Arlington. For more information on our ice machine repairs in Arlington, contact one of our certified and extensively trained repair technicians today! Is your refrigerator producing malodorous or discolored water? Contact Same Day Appliance Services to repair your water dispenser in Arlington. Most homes rely on their water dispensers for crisp, clean, and refreshing water. So when the dispenser breaks, that can be a major problem. Contact us today to have your water dispenser in Arlington repaired to its full working condition. If you need to repair your ice dispenser in Arlington, you’ve come to the right place. We have repaired a countless number of ice dispensers in local area homes just like yours. Contact us today to have a qualified and highly professional repair technician restore and repair your ice dispenser in Arlington. 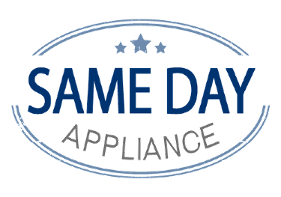 Contact Same Day Appliance Services for all of your refrigerator repairs! We repair ice makers, water dispensers, and freezers! Our services are available to all of Fairfax and the surrounding communities of Arlington, Chantilly, Alexandria, Gainesville, Mclean, Tysons Corner, Great Falls, Vienna, Arlington, Alexandria, Falls Church, Annandale, Burke, Oakton, Dunn Loring, Springfield, Woodbridge, Dumfries, Dale City, Fairfax, Centreville, Chantilly, Fairfax Station, Clifton, Lorton, Manassas Park, Manassas, Gainesville, Bristow, Haymarket, and Nokesville.